With the rapid changes from traditional lamp types to more efficient LED lighting there is a need for a guide such as this that covers product design basics, and basic lighting concepts, including life expectancy, electromagnetic interference, lamp dimming and colour characteristics. The list of compulsory standards/specifications for LED luminaires covers the standards for LED lamps and control gear. 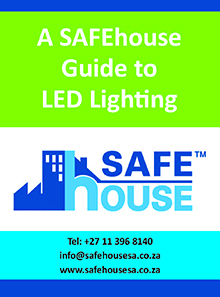 Luminaire safety and LED lamp safety are discussed and information is provided that explains who polices the lighting industry in South African and what to look out for when buying LED products.